Sicily and its food cooking tradition made of simple and genuine recipes! This cooking lesson happens right in the heart of Siracusa and is a great way to enjoy an authentic experience in this beautiful seaside town and discover the true flavors of Sicily! It starts in the morning with a visit to the fish market where you spend approximately one hour learning about the local seasonal vegetables, Mediterranean fish and enjoy a sampling of some of the finest Sicilian cheese as well as excellent olive oil. Together with your chef, you will shop for the necessary ingredients at the base of the cooking lesson of the day. Once you have the ingredients, you will start the preparation of 3 typical dishes of the Sicily region, learning the family secrets that are handed on from generation to generation while making these tasty courses. It is held in an informal setting, surrounded by the friendly atmosphere, which is typical of the Sicilian hospitality. 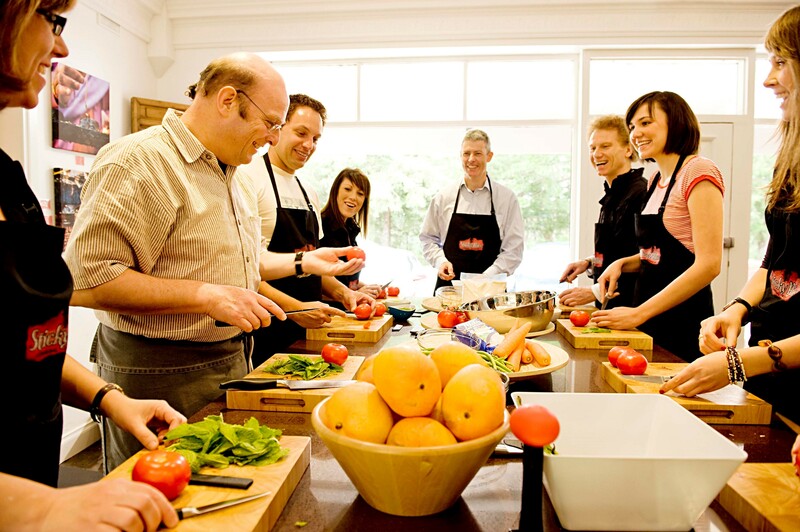 The lesson is followed by an aperitif and lunch consisting of the food we cook together during the lesson. Free water bottles and soda drinks. Cooking class.